Dell really put their stamp on the 2015 Ultrabook lineup this year with the Dell XPS 13 with its amazing Infinity Display. They packed a 13.3-inch display into a notebook that would normally house something closer to 11-inches, and no other manufacturer has come close to it this year. Performance was great, battery life was the new benchmark, and other than a couple of foibles such as a camera that points up at your chin, and some aggressive use of Content Adaptive Backlight Control (CABC) there was very little to complain about on the XPS 13. Today, Dell is refreshing the XPS 13 with Skylake, and trying to bring the same amazing design to the XPS 15 and the new XPS 12 2-in-1. Let’s start with the XPS 13, which should be familiar to anyone who read my review of it. Dell has tried to take the XPS 13 and push it to the next level, and they are starting with Skyake. Dell will offer Core i3-6100U all the way up to Core i7-6600U. This means the GPU will be the Intel HD 520 model, so no Iris options on the XPS 13 range unfortunately. Memory options start at 4 GB and go up to 16 GB of LPDDR3, and storage gets a bump too. The base 128 GB model is still a SATA based SSD, but the 256 GB, 512 GB, and 1 TB models are all PCIe versions. 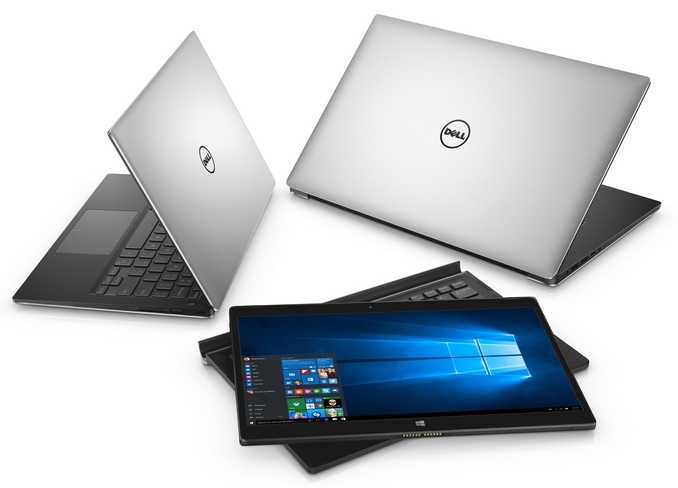 These are evolutionary updates, but the move to Skylake has also given Dell the opportunity to add Thunderbolt 3 to the XPS 13 through a USB Type-C which also supports 10 Gbps USB, VGA, HDMI, Ethernet, and charging. Battery life was a pretty big part of the Broadwell based XPS 13, and on the 1080p model we got over 15 hours on our light workload. The move to Skylake looks to move that bar even further out with Dell saying the new model is rated at up to 18 hours. Yes, it is an evolutionary update, but it is an evolutionary update of one of the best notebooks of 2015 so far. For those that prefer a larger notebook, the XPS 15 has been around for a while now, but when we saw it refreshed back at CES, it was still in the 2014 chassis. Today Dell has brought the look and feel of the Infinity Display to the XPS 15. They have squeezed a 15.6-inch display into the body of a 14-inch notebook. Let’s talk about that display too. It is an Ultrasharp 4K Ultra HD model, which comes in at 282 pixels per inch and has a 350-nit brightness rating. The 4K model also covers 100% of the Adobe RGB color space which is a wider gamut than the typical sRGB space of most notebooks. It offers PremierColor Software as well to remap the smaller sRGB space into Adobe RGB so that colors are not portrayed incorrectly when viewing sRGB content. 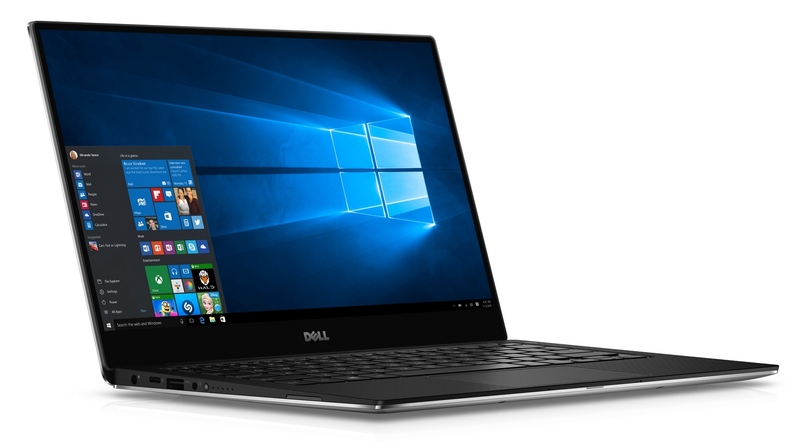 The XPS 15 has been the model where Dell steps up the performance to a quad-core version, and despite the smaller chassis due to the Infinity Display that has not changed. The base model comes with the Intel Core i3-6100H which is a dual-core 35 Watt part, but you can also get the i5-6300HQ and i7-6700HQ which are both quad-core 45 Watt CPUs. Up to 32 GB of DDR4 is available through two SODIMM slots, and the XPS 15 offers a discrete NVIDIA GTX 960M GPU as well. You can get the XPS 15 with a spinning drive if you want (I wouldn’t recommend it) or, like the XPS 13, Dell offers PCIe SSDs up to 1 TB. Dell is offering either a 56 Wh or 84 Wh battery, and the larger battery on the 1080p version of the XPS 15 is rated for up to 17 hours. For those that need faster wireless connectivity, Dell also offers a 3x3 802.11ac wireless card. Like the XPS 13, it also features Thunderbolt 3 through Type-C. One thing you do lose by moving to a 14-inch chassis is the room for a dedicated number pad. The final XPS model announced today is the XPS 12, which is a 2-in-1 tablet with a docking keyboard. Think of this as Dell’s take on the Surface Pro, but Dell has taken a couple of different paths than Microsoft did on their 2-in-1 tablet. First, the display is a 3840x2160 UHD with a smartphone level 352 pixels per inch and 400 nits of brightness and 100% Adobe RGB. There is also a 1080p model with sRGB coverage which should help with battery life. 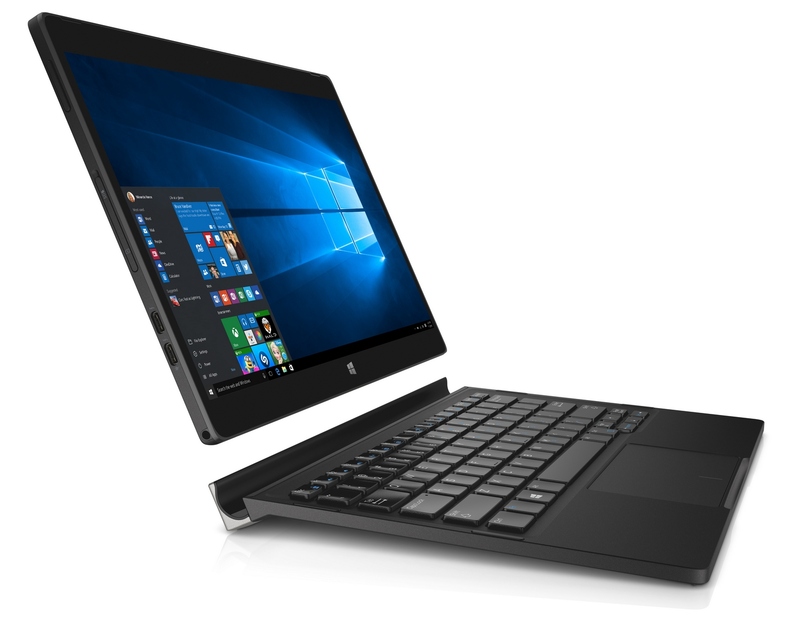 Dell has gone with the latest Skylake version of Core m to power this tablet, with the m5-6Y54 processor which turbos up to 2.7 GHz. 8 GB of LPDDR3 memory is available, and you can get either 128 GB of 256 GB of SATA SSD storage. Keeping all of this powered is a 30 Wh battery. We tested the Dell Venue 11 7000, which was similar to this in that it had a docking keyboard, but the keyboard added a lot of weight due to the extra battery inside. Dell has taken a different approach here and the keyboard base only adds just under a pound to the 1.75 lb tablet. The keyboard on the Venue 11 7000 was also not great, and the XPS 12 is offering a full size backlit keyboard with 1.3 mm of key travel, which should be a lot better. The trackpad is a glass precision trackpad. The device itself is made of a magnesium alloy and covered in soft touch paint, and the display has Corning Gorilla Glass NBT. Dell seems to have gone all-in on Thunderbolt, with this tablet featuring not one but two Type-C connectors with Thunderbolt 3. The 45 Watt A/C adapter also connects over the Type-C, and it is great to see Dell embracing this to get rid of the myriad of proprietary charging connectors that have plagued PCs for decades. Dell was already at the forefront this year with their notebook design, so it’s great to see them take that same design and apply it to the XPS 15. The XPS 12 looks to be a decent tablet with a good looking keyboard dock, and that has been one of the biggest issues with convertible tablets with attachable docks so I am excited to see this in person and give it a try. The notebooks will be available on Dell.com starting today, and the tablet will be coming in November. Yeah but with extra 1.1k, unless you're loaded SB isn't really the option for dGPU. It's not officially a GTX 950M because it's a custom design (just like the GPU in the Alienware Alpha wasn't officially a GTX 860M), but based on the reported specs (Maxwell GPU with 1GB GDDR5) and advertised use cases (Adobe Illustrator, Lightroom, and League of Legends) the speculation is that it's based on the GTX 950M. At any rate, it's definitely less powerful than the GTX 960M (with 2GB GDDR5) in the XPS 15, though more powerful than the integrated graphics in the XPS 13 and 12.